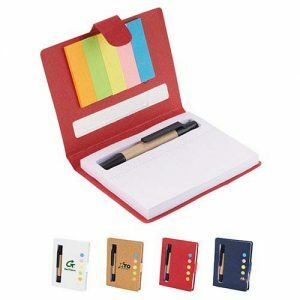 Give your customers a place to take notes or jot down reminders at your next tradeshow with a custom printed notebook. Our recycled notebook combo features a handy pen loop to keep the included recycled pen close at hand. 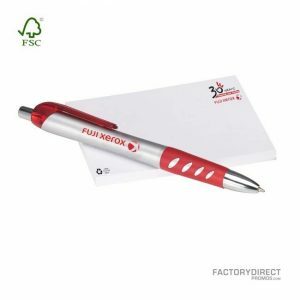 Adorn the cover of this eco-friendly notebook and pen combo with your logo to increase your brand recognition. For additional options to customize your recycled notebook check out our overseas production. Custom orders can take 60-90 days, but this option gives you the freedom to design your custom printed promotional gear.